DePaul University is trying to get back on the NCAA maps for men’s basketball, and the first step in their strategic plan is creating a new arena near the school’s campus in Lincoln Park. YEAAAA! Reverend Dennis Holtschneider (the school president) is making moves! This plan requires approval from the university’s board of trustees and will be on the agenda for their May meeting. They currently have two rumored potential locations: the Finkl Steel property which is walking distance from the DePaul campus and the Morton Salt Company property on Elston Avenue near both the Kennedy Expressway and the Chicago River. 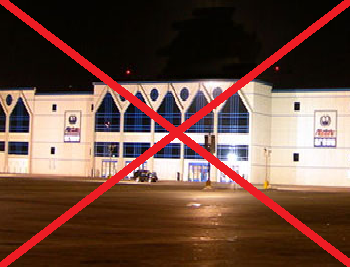 DePaul’s current contract with the All State Arena in Rosemont only runs through 2015, if approved, this project would move forward in a very timely manner. The new arena is part of the master plan to attract Chicago area basketball stars to choose DePaul for their collegiate careers. 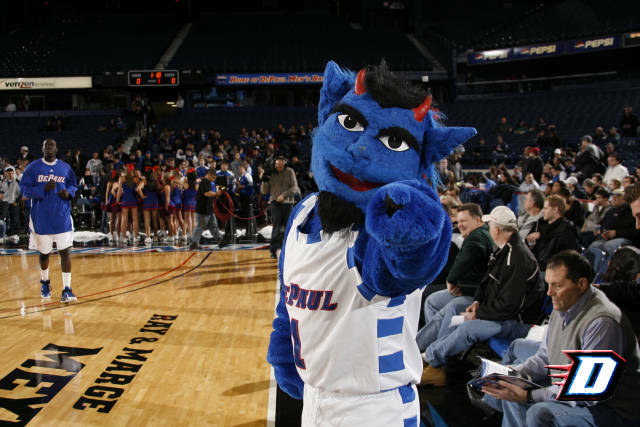 Chicago has plenty of talent in this city, but DePaul did not have much to offer in comparison to other universities around the area, “Come play at our school and take a 20-minute bus ride to your arena” – yea no thanks. From the late 1970’s through the mid 1990’s, DePaul was one of the nation’s top college programs and completely dominated the Chicago area, bringing back this success is the ultimate goal. As a DePaul alumna, this idea is thrilling. DePaul students do not want to get on a bus, sit in traffic on the Kennedy Expressway for over an hour (I had a few bathroom scares during that trip – it’s so long), and go all the way out to Rosemont to cheer on their Blue Demons. There is a true disconnect having the stadium so far away from the actual school, it definitely didn’t help promote school spirit. I also have a little theory, the two programs that currently house their stadiums on campus, Women’s Basketball and Women’s Softball, are DePaul’s most successful programs…I say, bring on the new stadium! I would love to one day get the chance to cheer on my alma mater during March Madness!